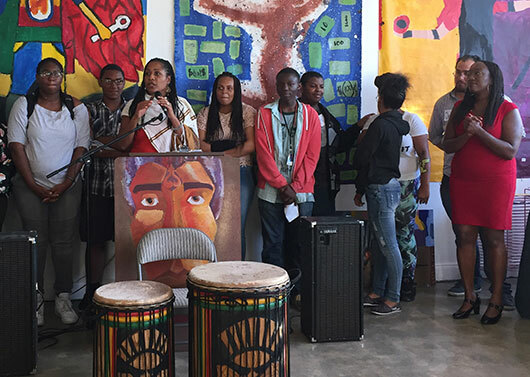 Oakland Mayor Libby Schaaf joined AHC Executive Director, Amana Harris, and founders Aeeshah and Kokomon Clottey at the open house celebrating the Center's move to a vibrant new art space, AHC Mandela. Congratulations AHC! Founded in 1989, Attitudinal Healing Connection, Inc. (AHC) empowers individuals to be self-aware and inspired through art, creativity and education, making positive choices to break the cycle of violence for themselves and their communities. ArtEsteem is one of AHC's many award-winning and engaging programs serving children and youth. 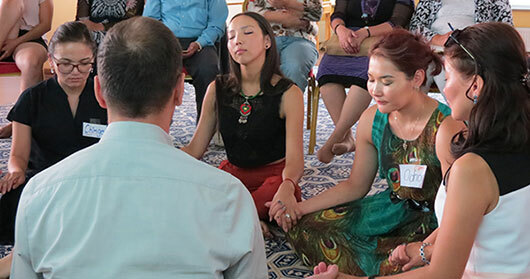 In 2012, Elsa Cheng and James Hu Hai contacted AHI about bringing Attitudinal Healing to China. Today, AH China is an official NGO and is currently the fastest growing Attitudinal Healing Center in the world. 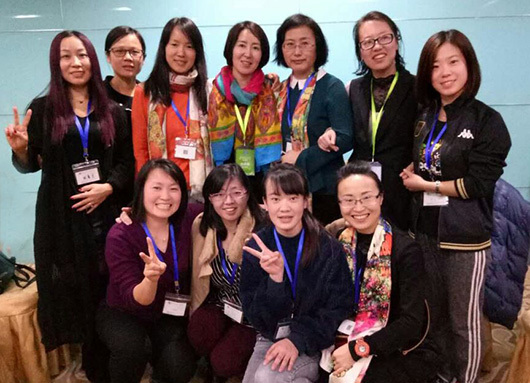 Congratulations to the AH China “Dream Team” for your accomplishments and commitment to making Attitudinal Healing accessible to people of all ages throughout your country. 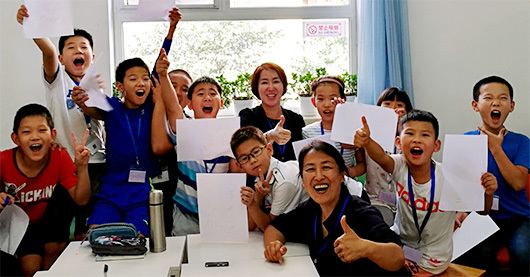 In July this year, AHI senior trainers, Carolyn Smith, Joe Keery and Trish Ellis joined AH China in Jinzhai to launch the Rural Teacher Training Program. One hundred ninety six teachers participated in seven days of training. During the training, teachers worked together to create culturally relevant lesson plans designed to introduce Attitudinal Healing concepts to primary, middle and secondary school students. “I learned so much during the 7-day AH training: Cooperation within the team, sharing with an open heart, communication techniques, empathy during the sharing, relaxation of connecting with each other... all of these have helped me cultivate strong empathy, personal responsibility and gratitude." 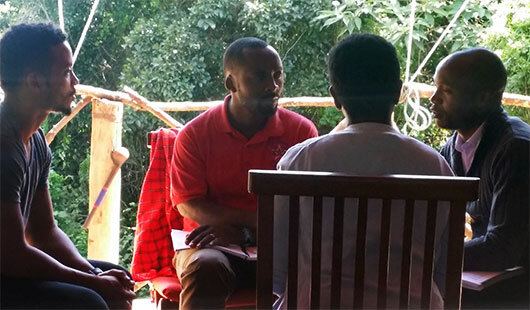 Last year AHI joined in collaboration with two non-profits to develop a unique leadership and empowerment program for young adults attending a new vocational college in the Massai Mara in Kenya. 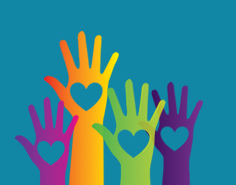 AHI is supporting the work of the Unstoppable Foundation and WE (Free the Children), both non-profit humanitarian organizations bringing sustainable education to children and communities in Kenya and other developing countries. 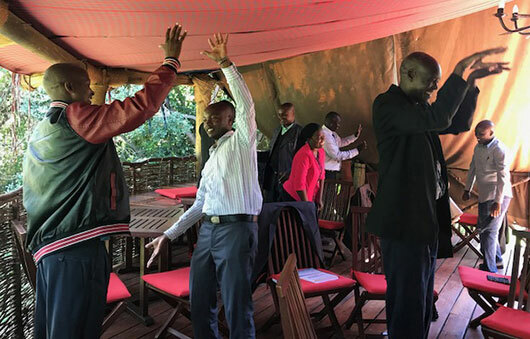 In May this year, 25 participants from the local Massai Mara communities completed a 5-day facilitator training offered by AHI trainers Carolyn Smith and Trish Ellis. Participants included teachers and school administrators, psychologists, medical professionals and local government officials. Three members of the Attitudinal Healing Center in Nairobi also joined the training. The Unstoppable vision is to “liberate the genius within every student to achieve their fullest potential as leaders in their families, communities and the world.” The leadership and empowerment curriculum empowers students to develop a strong foundation in the skills, attitudes and knowledge necessary for effective leadership and overall success in life. Attitudinal Healing was selected as the basis for the first 12-week course in the Unstoppable curriculum, providing tools for introspection, self-awareness, self-expression and genuine connection with others that lead to a greater understanding of success and increased confidence in achieving it. Unstoppable will expand the program from the college into the community at large, and eventually will offer it to schools and communities around the world. 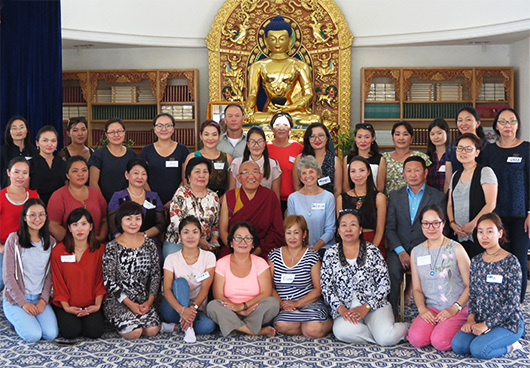 This year, in collaboration with Arjia Rinpoche’s Center for Compassion and Wisdom (CCW), Ulzii and Tseika started support groups for parents of children who are receiving cancer treatment at the Women’s and Children’s hospital in Ulaanbaatar. Three years ago, Arjia Rinpoche completed construction of CCW, a cancer treatment clinic and guest lodging facility adjacent to the hospital. The Center supports nomadic families who are receiving cancer treatment and provides housing for the families, visiting medical professionals and humanitarian staff. 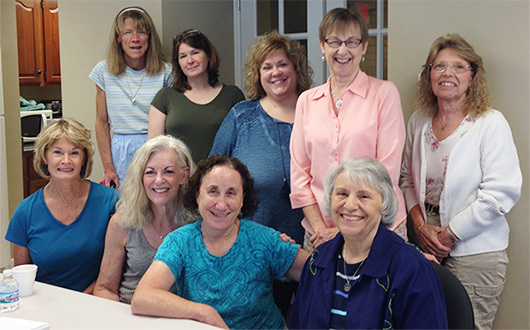 In August Ulzii and Tseika joined AHI trainer, Trish Ellis to offer an Introduction to AH workshop at the Center for Compassion and Wisdom. Participants included medical professionals, hospital staff, teachers, social workers, families facing cancer and university students. During the workshop, many collaborative relationships formed, and plans are underway for a variety of AH-based projects to support medical professionals and their patients. "The workshop was helpful in getting more focused and organized for work, understanding my colleagues better and feeling closer to my family. Now I understand better how to find inner peace at work and at home." Congratulations to Attitudinal Healing St. Louis for achieving the goal of incorporating your Center and receiving official non-profit status in 2017. Since January, 2011, the primary purpose of AH St. Louis has been to teach and apply the 12 Principles of Attitudinal Healing. Starting with two facilitators, Julie Morreale and Corinne Esneault, they created an effective integrative teaching and learning model that has evolved over the past five years. In 2014, Carole Glauser joined AH St. Louis and introduced a program based on Diederik Wolsak’s Choose Again 6-Step Process. She facilitates an ongoing weekly circle with the purpose of practicing the 6-Step Process to cultivate awareness, examine and take responsibility for upsets, uncover hidden ego belief patterns, learn self-forgiveness and discover a new-found sense of freedom. Through the process, group members learn to shift from identifying with ego beliefs to embracing the True Self and the Truth of who they really are—Love!